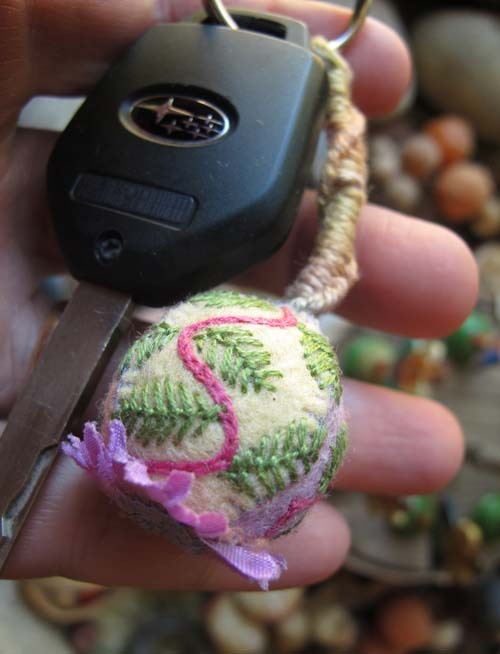 I made this key chain during the doll workshop in Muscatine last week. 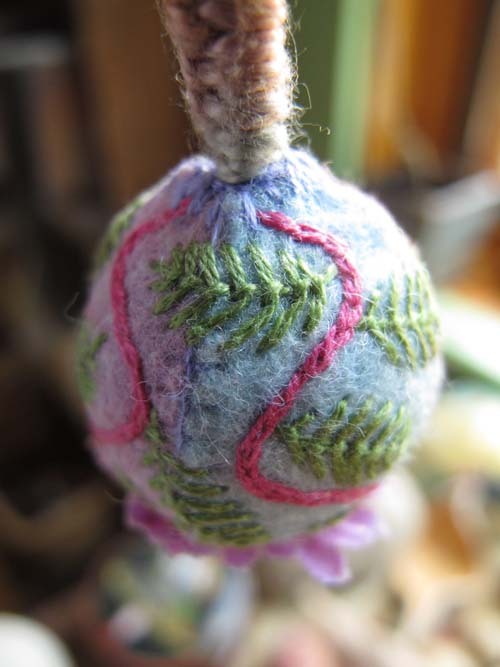 I’ve got to keep my hands busy, and this is my way of doodling, just taking a simple wooden bead, covering it with felt and decorating it with stitches. 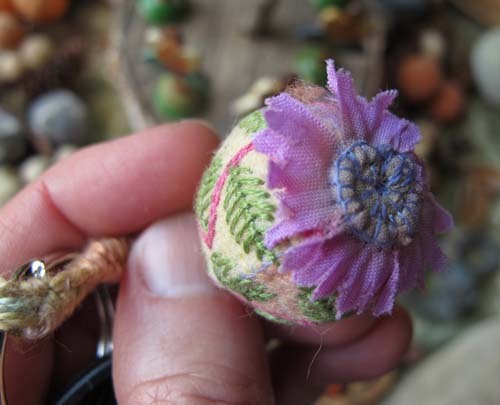 I sewed on a flower petal we had on hand for the fairy dolls. The felt pieces fit around the bead like a beach ball. I used my favorite leaf stitch after the bead was covered. Sorry this isn’t a tutorial, but I’ve sworn off writing directions! This kind of thing could also work as an ornament. This entry was posted in Embroidery, Felt by Salley Mavor. Bookmark the permalink. I wish my “doodles” were as creative as yours! Beautiful! I love it. Taking a simple object and making it special and unique. Wow your creativity just never ends, what a cute little thing this is you have made. 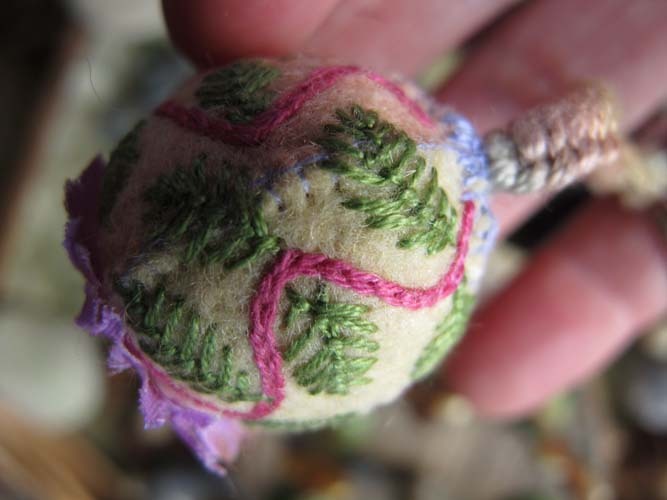 How did you sew the felt onto the wooden bead? How did figure out how to cut the fabric the correct shape and size? That’s a cool little technique. I love the way you doodle! Nice, crisp photos of teeny details. I love it. That is such a sweet little bauble!!! Love it!!! A sweet doodle, Salley. What size bead did you use? It’s a 20 or 24mm bead. I want one. This is lovely.